for any occasion or celebration. 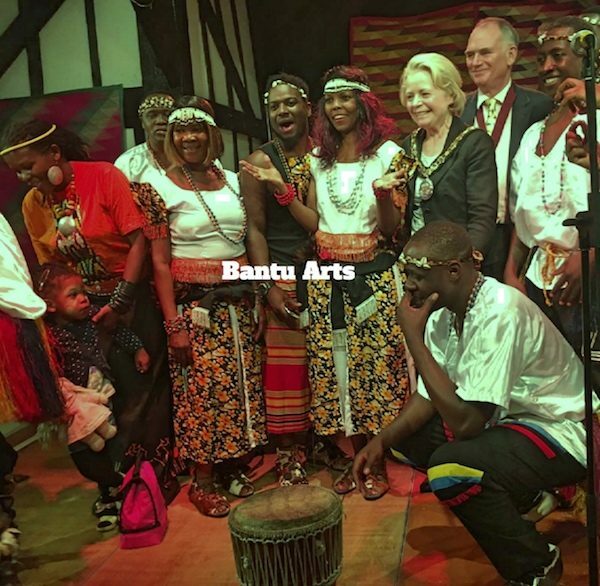 Bantu Arts has over 10 years’ experience in performing arts and specialising in Traditional African/Ugandan dances & music. If you are looking for an exclusive and bespoke African themed entertainment for your event then don’t look any further. 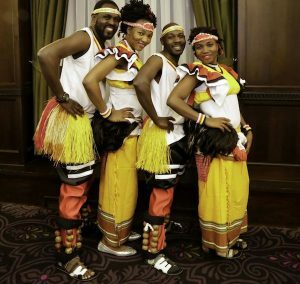 We have a wide range of traditional African/Ugandan themed entertainment options for you to choose from. 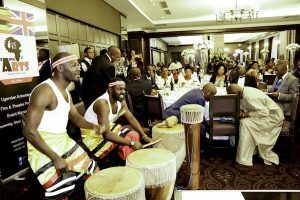 We have on offer a range of African/Ugandan drummers, African musicians and African dancers for hire. African/Ugandan dances differ in the way they are presented, structured and according to their meaning and identity. We have stayed true to the traditions of these dances. We provide live acoustic and authentic African music as a band and/drumming percussion entertainment for weddings as well as other private functions with spectacular performances that are delivered in bright and colourful African dance costumes which add novelty and colour to your special day. Bantu Arts perform traditional African dance together with authentic African instruments. 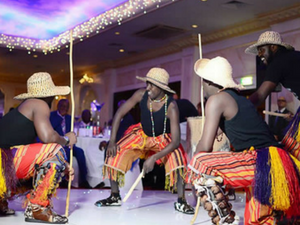 We specialise in traditional Ugandan cultural performance but can adapt to meet your needs. Our Artistic performances will energise and bring excitement to your event and also include audience participation. The music is played on a variety of African/Ugandan instruments. Some include Ngoma (East African drums or Djembe), Adungu (Ugandan harp), Endigidi (Tube fiddle), madinda (xylophone), Ensasi (shakers), as well as a variety of other African percussion instruments. We have a wealth of knowledge in producing rhythms that were originally played during celebrations (such as courtship appearances, youth celebrations, religious occasions, weddings, introduction, victories). 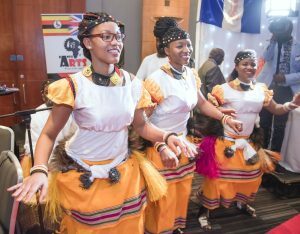 The Dance and the music are inextricably linked and are an integral part of the culture and social structure in Africa environment. 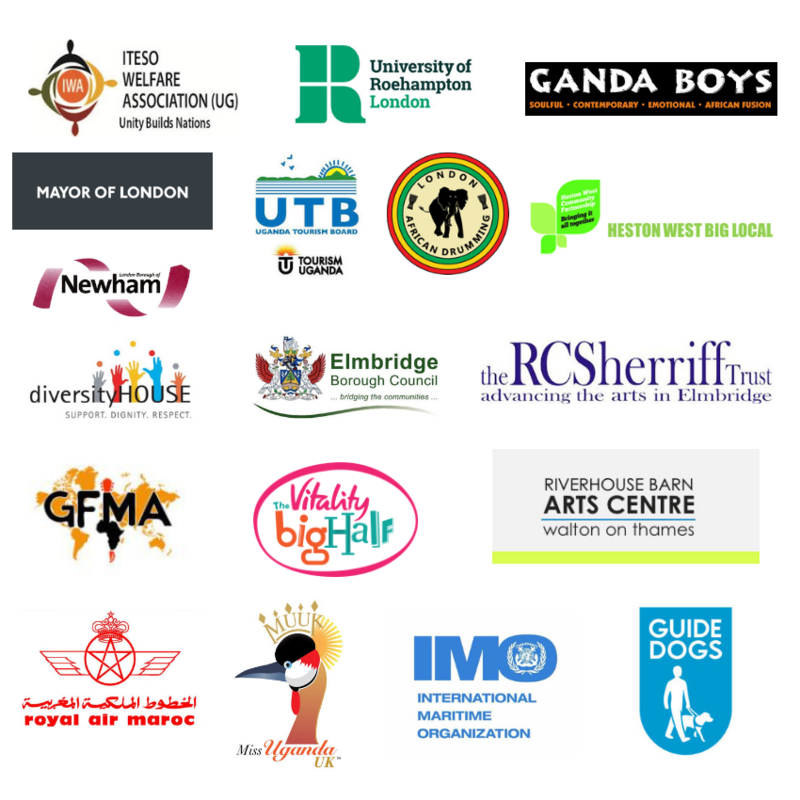 Our Performances are exciting and popular with audiences of all cultural backgrounds and have a unique cross-genre appeal that engages people of all ages. Bantu Arts has years of experience and expertise in delivering quality services in the UK and abroad.